Faringdon in World War II - Faringdon Community Website. 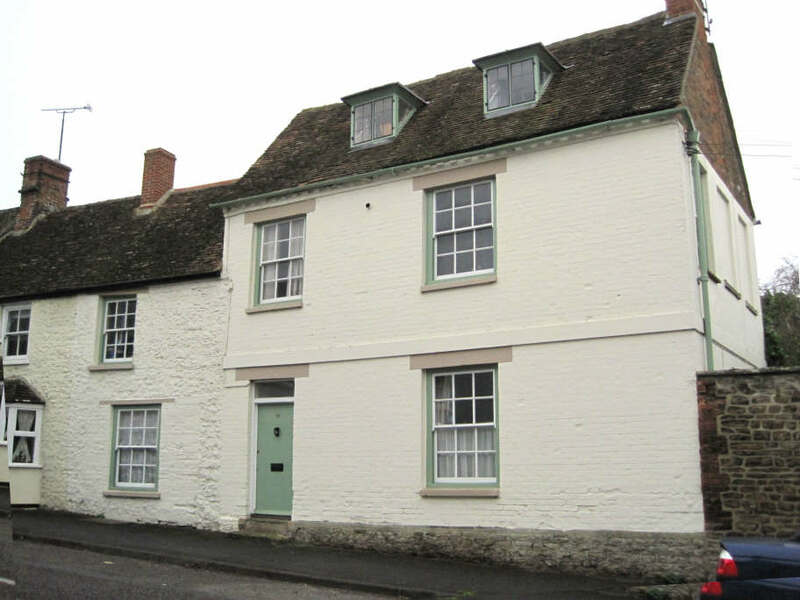 Faringdon has occupied a strategic position in North-South and East-West communications within the country since earliest times. This fortunate geographical location is the very reason for Faringdon's existence. In the spring and summer of 1940 the strategic aim of the Germans was to invade England and force the British Government to capitulate in the same way as the French Government had done. A company of Royal Marines was stationed in Faringdon in summer 1940. Their task was to defend the Faringdon strong point assisted by the Home Guard. Later in the war, Canadian troops were based in Faringdon and that is also acknowledged by a road name - Canada Lane commemorates their presence. They were encamped in that area. Defensive slit Trenches were dug in the grounds of Faringdon House. For a short time, Northgate House in London St became the temporary headquarters of the auxiliar units or secret army(pdf) by Bill King. Coleshill House situated some four miles from Faringdon, isolated in its own parkland, hidden behind a high stone wall and protecting belts of trees, provided the ideal location. ...for the Faringdon Company of the Home Guard which had been formed in late May 1940 following the wireless broadcast appeal by Anthony Eden. 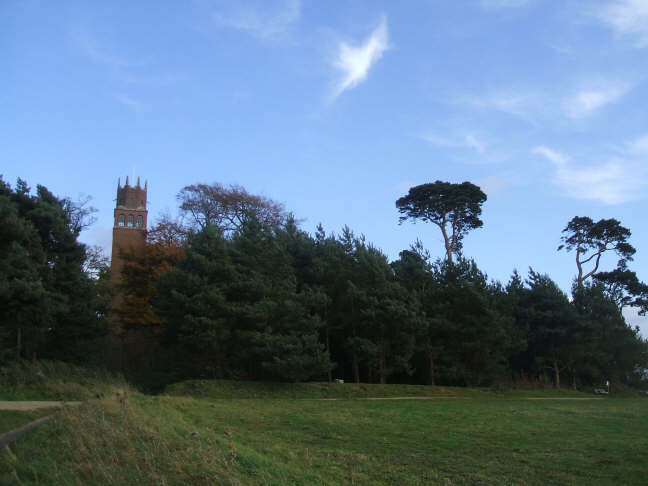 The Folly gave 360 degree all round observation and would have been manned in shifts by two or three men throughout the invasion scare period in 1940 but would have been more relaxed as the invasion threat declined. 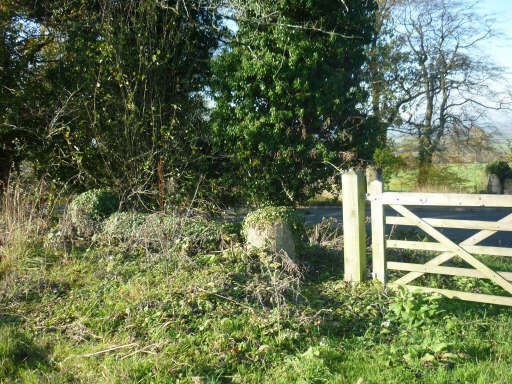 (you can still see the recessed wall on the south side of the road opposite the pillbox which would have been the anchor point for the road block). On either side of the pillbox on the north side of the road, the roadside wall has been cut down in height to give a good field of fire for the troops in the pillbox. 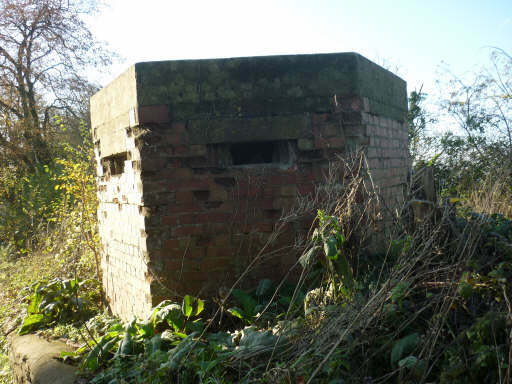 There are concrete cylinders which would have formed part of a roadblock at the crest of the rise 200 yards on the Oxford side of the pillbox. The cylindrical concrete bollards would have been spaced across the road to constrict the road width with only a single vehicle able to pass at any one time. Further bollards could also have been pulled cross in time of emergency to totally block the road. They weren't intended to stop tanks but would certainly have slowed them down. 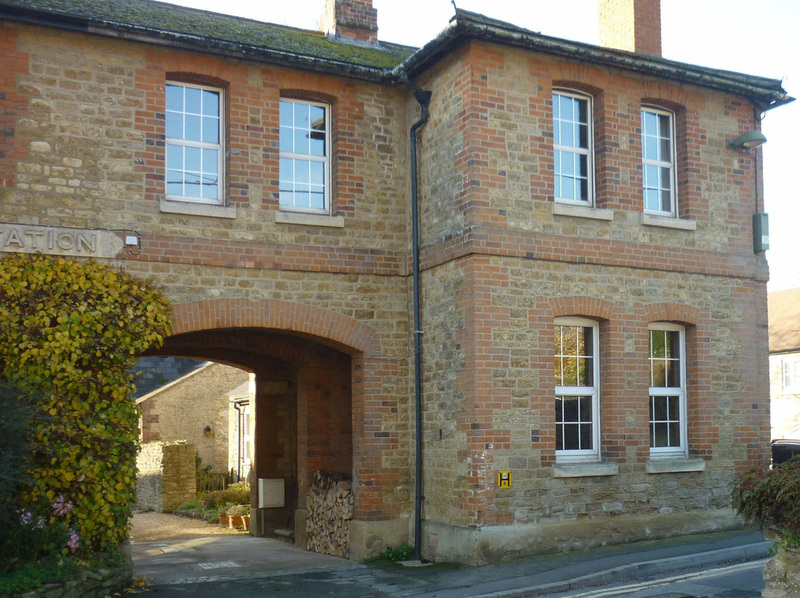 There is a loopholed wall in the building which in 1940 was the Faringdon Police Station. There was a further road block defended by a pillbox on the A4095 as you descend the hill out of Faringdon heading towards Radcot Bridge. 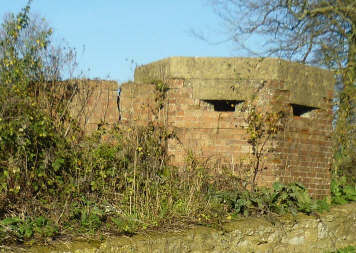 The pillbox on the Radcot Bridge road was under the statue. 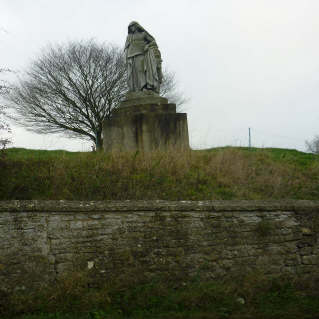 The retaining wall below the statue along the side of the road shows the mark of having been rebuilt postwar. This is where a roadblock would also have been in place.